What should have been a great Home Race Day for Team Haas, ends in disaster. Grosjean crashed out as usual and K-Mag battled to an excellent 9th place. Only to get disqualified for using 100 gram of fuel more than the rules allow. There is more about the fuel load and the tyre wear than straight out racing in F1. The drivers have to be office administrators as well as hell for leather drivers. So it is no wonder some do not make the grade. Hammy Hamster Hamilton did not win his 5th Title in Texas. 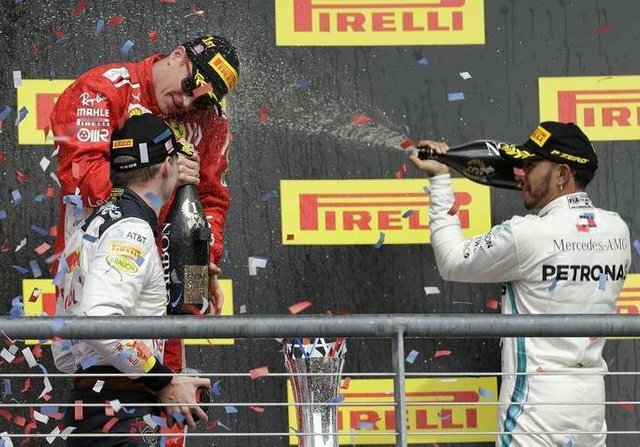 Kimi the Ice Man wins again after more than 100 F1 races. Bottas fucks up along with Vettel. I can see Hamilton driving for Ferrari to finish his career. At about $100million dollars a year. And worth every penny if they paid him that. Next Up!!! The F1 Caravan Heads South of the Border. F1 World Title race goes over the border to Mexico. Is the Mexican Grand Prix at Autódromo Hermanos Rodríguez in Mexico City. And the race runs Oct. 28.